Our 28mm 28mm French ADC is now available from our growing Napoleonic range loosely based on Marshal Massena's mistress and other ladies in uniform at Waterloo found in Hussar uniforms on the battlefield after the conflict was over. This entry was posted on Friday, August 22nd, 2014 at 17:46 and is filed under News. You can follow any responses to this entry through the RSS 2.0 feed. You can leave a response, or trackback from your own site. thanks Patrice appreciate the kind comments! Monte -Saint- jean it is!! 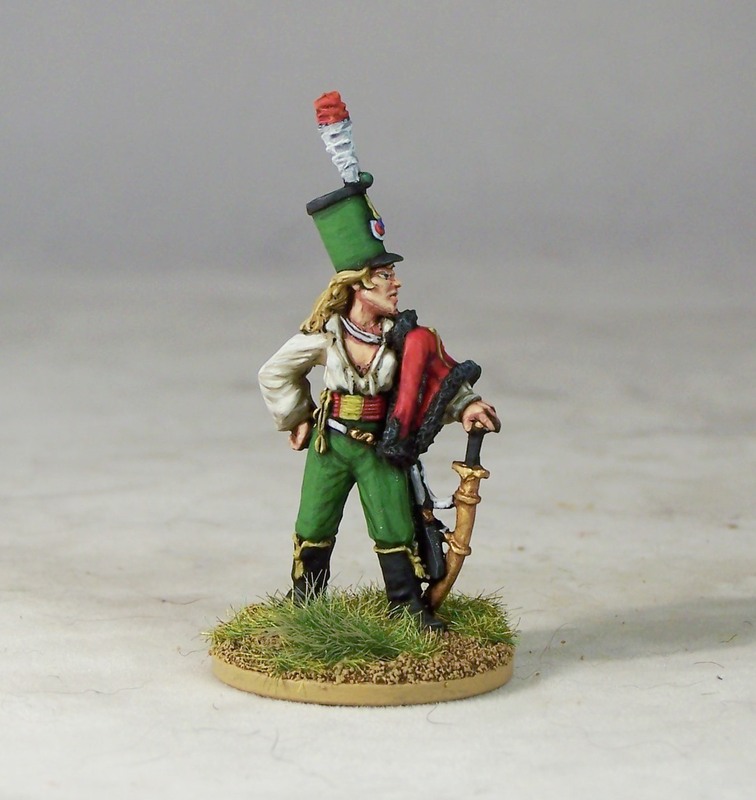 That is superb, I’ll be ordering her for use in “sharp practice”, excellent ‘officer’ or objective in a scenario. French side have to rescue their generals mrs, or is she an undercover spy for the Brits with her tempting wiles?